Experimenting with Remote Radio using the "Remote Hams" (http://remotehams.com/) application. The radio is not always online but I have been successful connecting and controlling it with a laptop and with a cell phone. The Icom IC-7200 is connected to a GAP Challenger Vertical Antenna which tunes on all bands with the exception of 160 and 17. 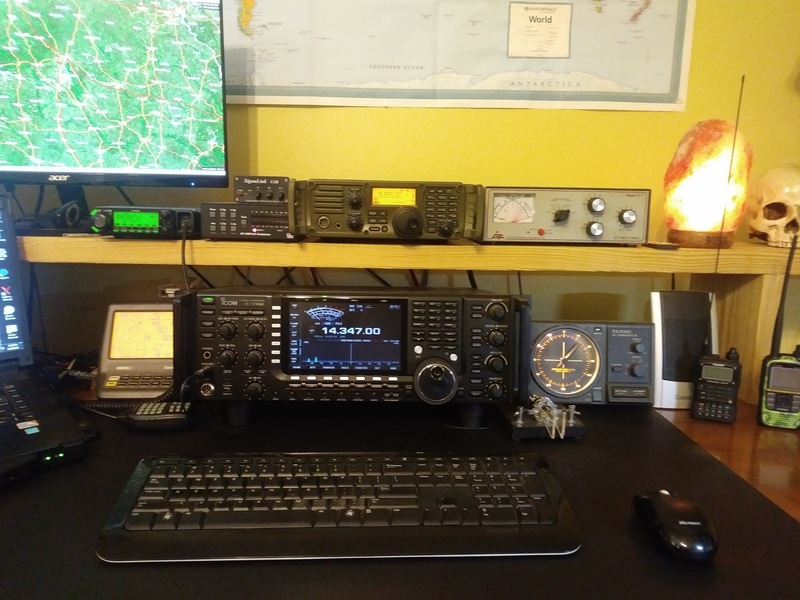 The IC-7200 may be seen in the photo below on the shelf.